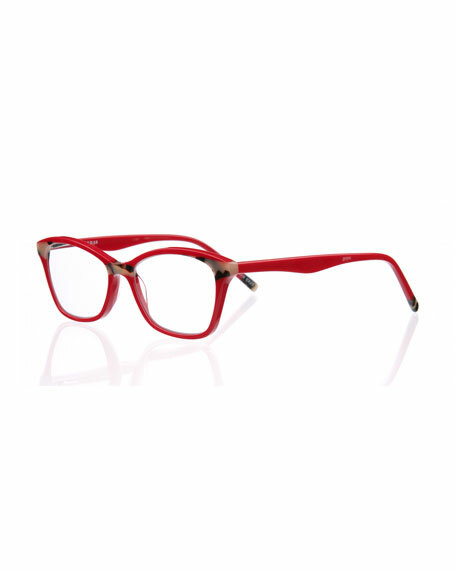 Eyebobs "Not Tonight" acrylic reading glasses. Square lenses, can be fitted with prescription lenses. Contrast pattern at frame front and earpieces.